SOLUTION: Develop creative, memorable, standout promotional materials for each play and place posters and postcards around DC. We invested time to read and research each play to understand the themes. Then we created many print pieces and web banners with the same concept, imagery, and copy. 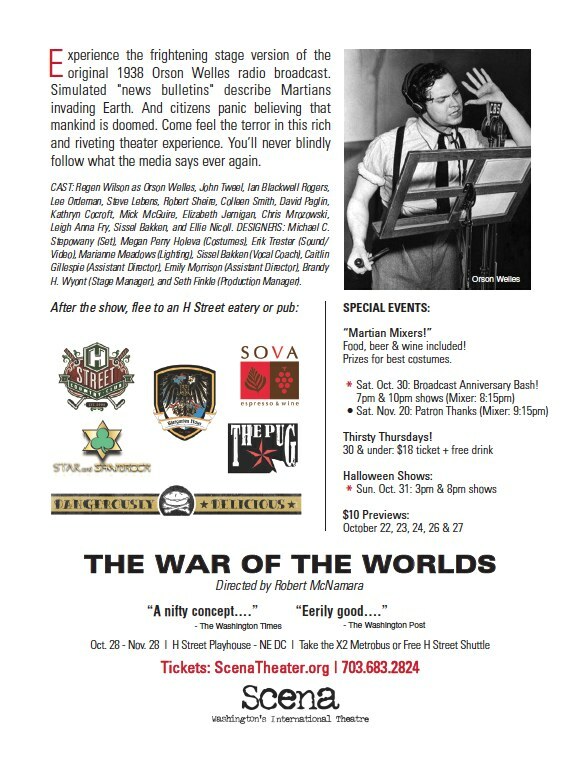 EXECUTION: Orson Welles became famous for his live radio play at CBS Radio that depicted Earth being invaded by aliens from Mars. 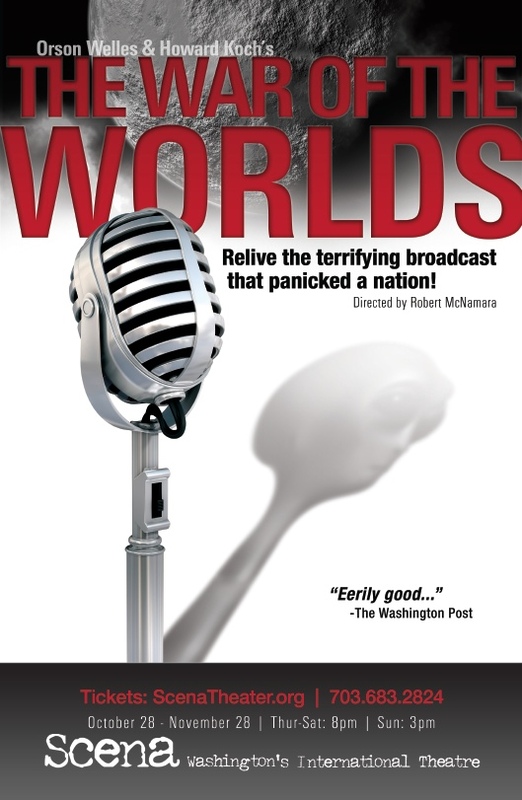 The old-fashioned 1930s microphone is the centerpiece prop in this original stage play that depicts the behind-the-scenes antics of Welles’ radio production. So, we used a microphone and gave it a dramatic visual twist to convey the deception behind the broadcast and the subject matter of this stage play.